Making supper “safe” — or “sterile”? Tagged as Ben Hewitt, David E. Gumpert, disease, food, health, Making Supper Safe, risk, safety, sterilization, The Complete Patient, U.S. 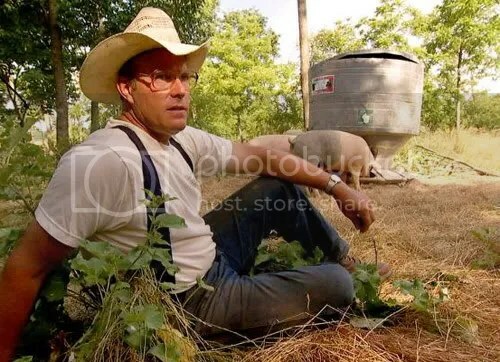 Lunatic farmer Joel Salatin in B.C. Farmer Joel Salatin spoke to a Vancouver audience last month. Photo via Vancouver Sun. While the world reels from global oil shock and rising food prices, the time is ripe to revolutionize the way we produce food and local food systems, according to evangelizing farmer Joel Salatin.